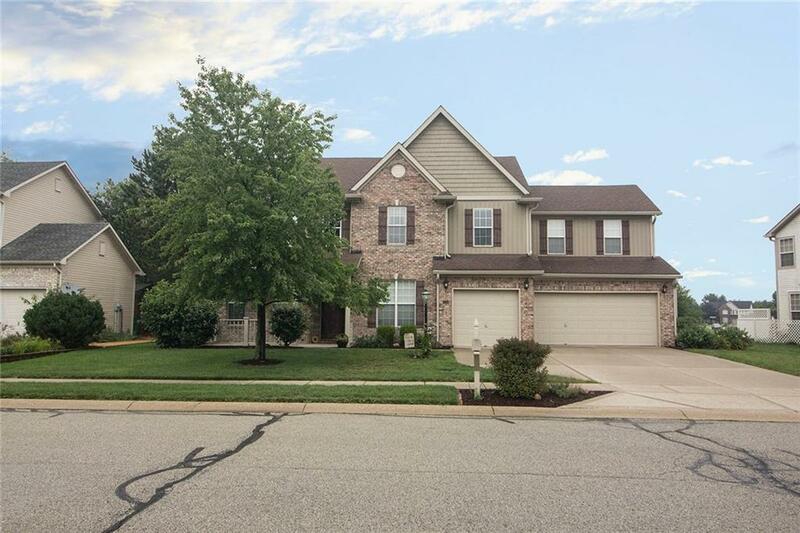 Wonderful 4 bedrm home w/9 ft ceilings & 2 story entry. Spacious kitchen w/center island & breakfast nook. Large master bedrm w/cathedral ceilings & luxurious master bath w/jetted tub & separate shower. Double sided fireplace between family rm & living rm. Bonus rm could be a large 5th bedrm w/the addition of a closet or a private extra space suited to meet your needs. Extended deck provides a perfect place to relax & enjoy your peaceful backyard w/mature trees. Fabulous 3rd car garage w/workbench & lot of cabinets for storage. Tankless water heater is a great addition. All siding was upgraded & replaced in 2012 & makes this beautiful home a stand out in a great neighborhood. Come see all this home has to offer! 1 year Home Warranty incl!